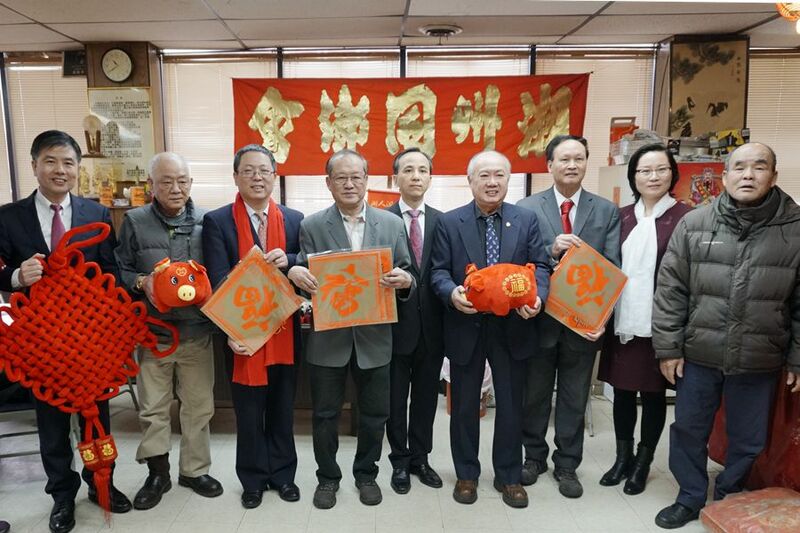 On January 24th, 2019, Acting Consul General Liu Jun, Deputy Consul General Huang Liming, and all members of the Overseas Chinese Affairs Division continued making their rounds to the various overseas Chinese organizations in Chinatown to bring them New Year blessings. 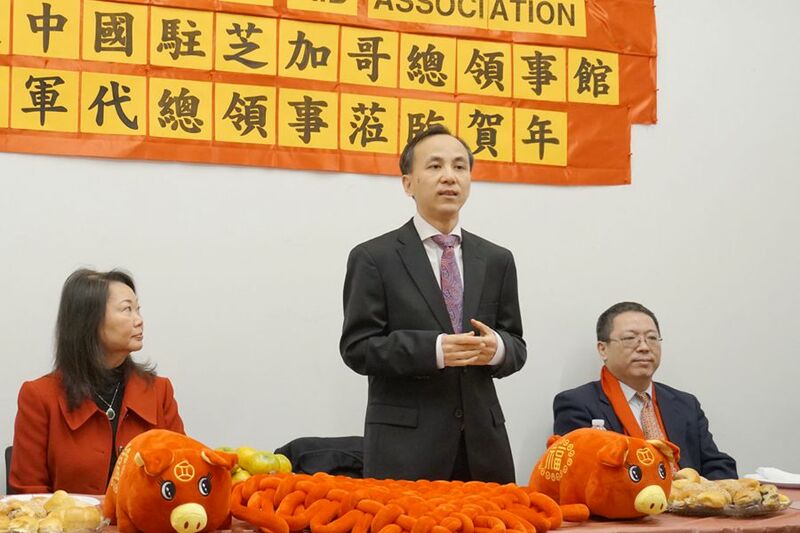 Acting Consul General Liu Jun and his delegation were accompanied by Chairwoman Zheng Zheng and Vice Chairman He Daquan of the Chinese American Association of Greater Chicago, and the main Chinese media outlets in Chicago traversed by their side to conduct interviews along the way. 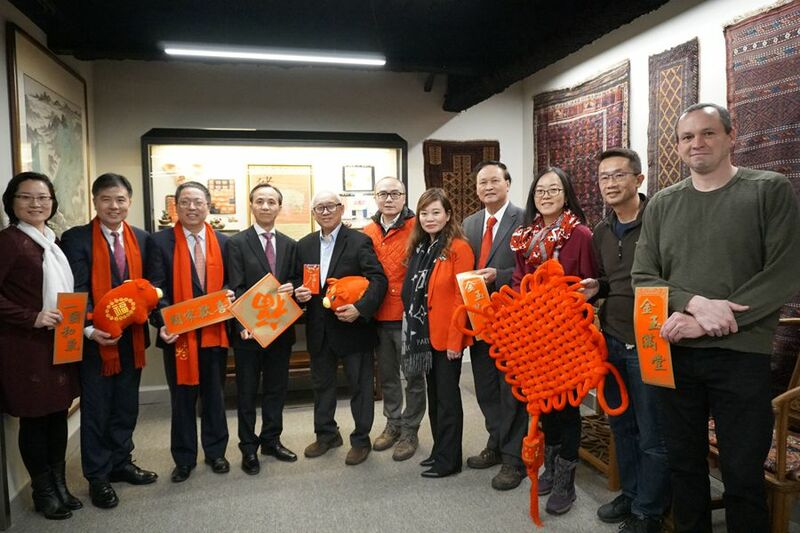 Acting Consul General Liu Jun and his delegation visited, in succession, the Chinese Mutual Aid Association, Teo Chew Mutual Assistance Association and Hip-Sing Association in North Chinatown, and went to South Chinatown to visit the Hong Kong Chinese Association, Chicago Chinese Chamber of Commerce, Midwest Asian Health Association, Yee Fung Toy Family Association, Chinese American Citizens Alliance, Chinese American Museum, Heritage Museum of Asian Art, Fujian Association, and other overseas Chinese organizations to bring New Year blessings to them. In addition, the delegation paid a visit to the retirement home on 28th Street to visit the elderly. 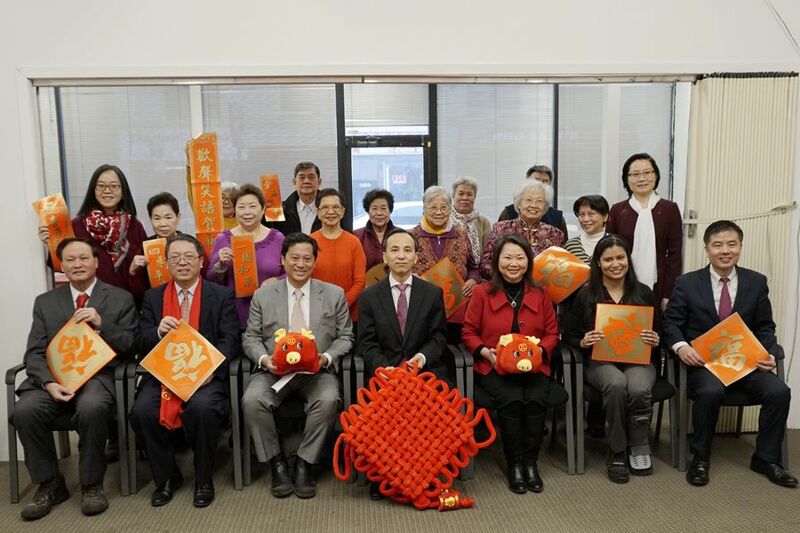 In his New Year blessings to all the overseas Chinese organizations visited on this day, Acting Consul General Liu Jun wished the entirety of the overseas Chinese community a wonderful New Year, a happy life, successful undertakings, and good luck in the Year of the Pig. 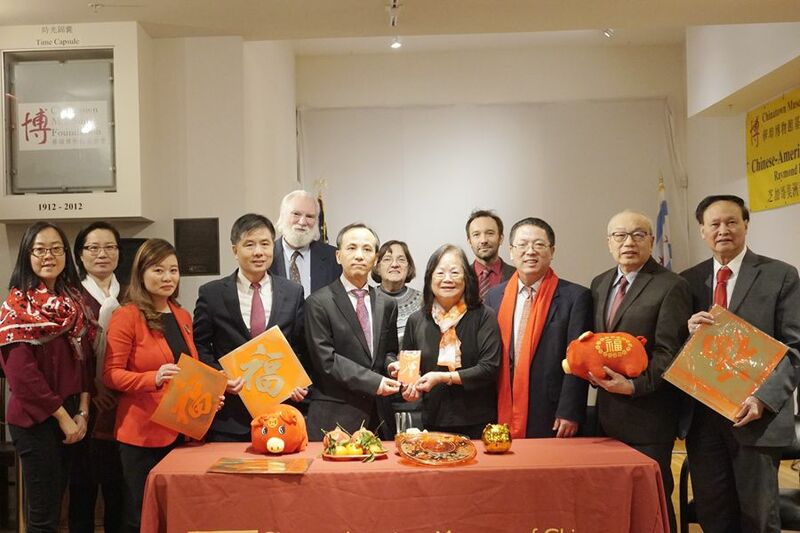 Acting Consul General Liu Jun made full acknowledgement of and gave thanks to the overseas Chinese organizations for their long-term positive contributions in serving the vast overseas Chinese community, preserving Chinese culture, advocating friendly China-US exchanges, and promoting the peaceful reunification of the motherland. 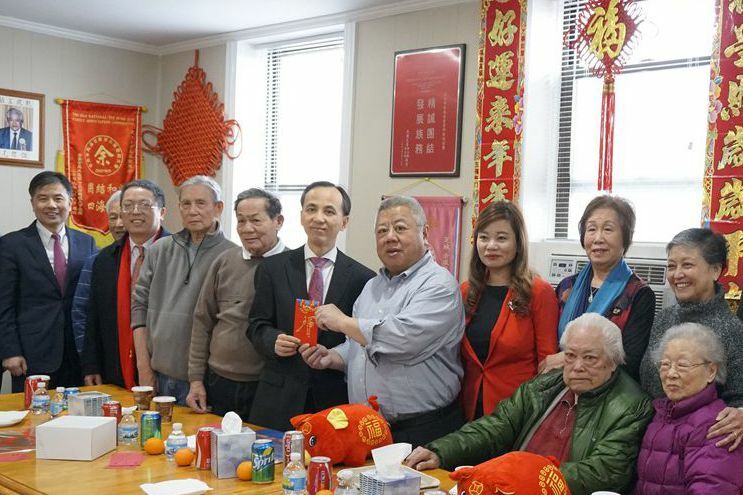 He continued, "The Consulate General will continue to support the overseas Chinese organizations' contributions to the friendly development of China-US relations, the prosperity, happiness, and well-being of the overseas Chinese community, and for the peaceful reunification of the motherland." 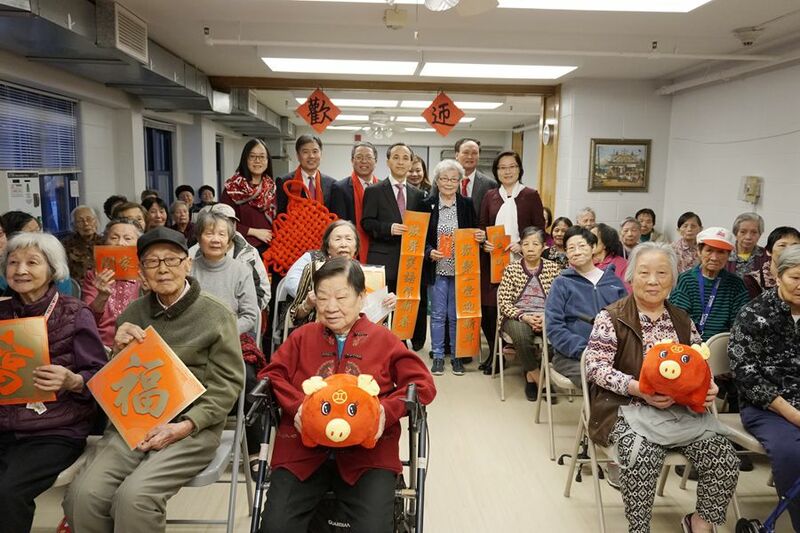 At the retirement home on 28th Street, Acting Consul General Liu Jun and his delegation wished the elders a happy New Year, good health, and long lives to come. 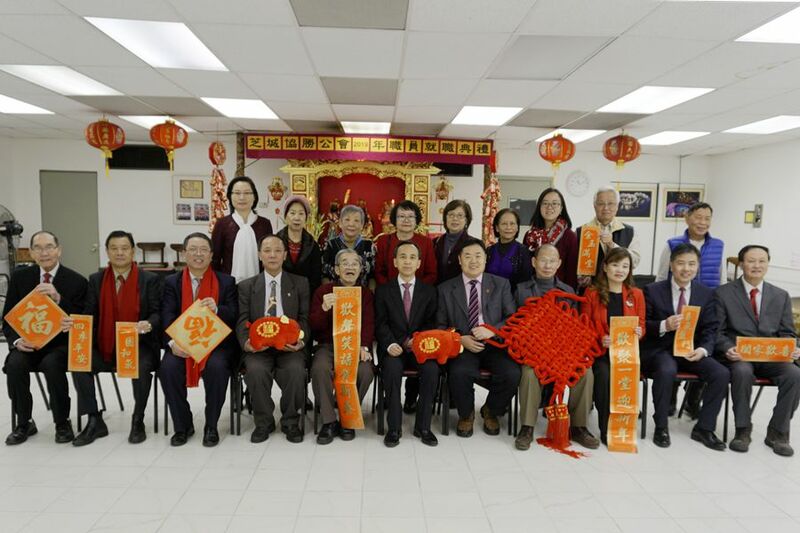 The various overseas Chinese organizations warmly welcomed Acting Consul General Liu Jun and his delegation and thanked the Consulate General for bringing love and blessings from the motherland every year during the holidays-it is always a heart-warming treat. They remarked, "The great achievements China has made since the initiation of Reform and Opening-up are there for all to see. 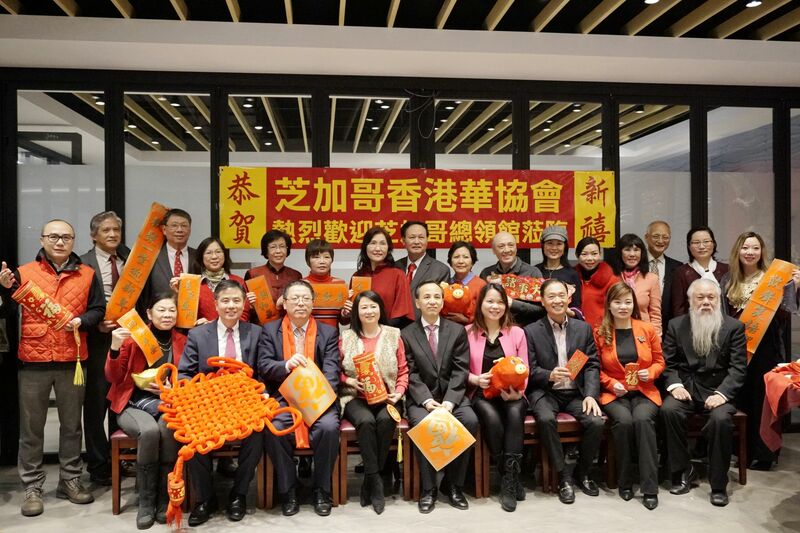 The prosperity of the motherland has filled the hearts of the overseas Chinese community with pride and confidence. We are ready to continue making more positive contributions to the solidification of the overseas Chinese community, promotion of Chinese culture, and friendly development China-US relations." 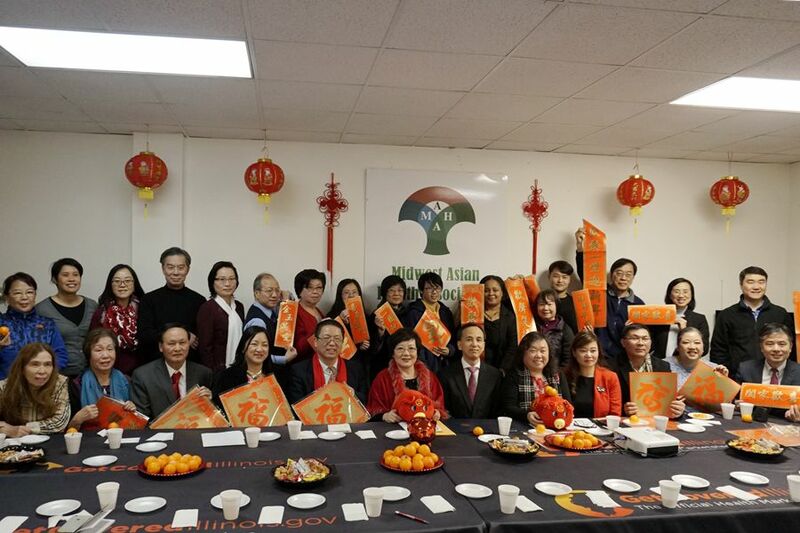 On the 25th, the Consulate General will continue to visit and bring New Year blessings to the overseas Chinese organizations in Chinatown.